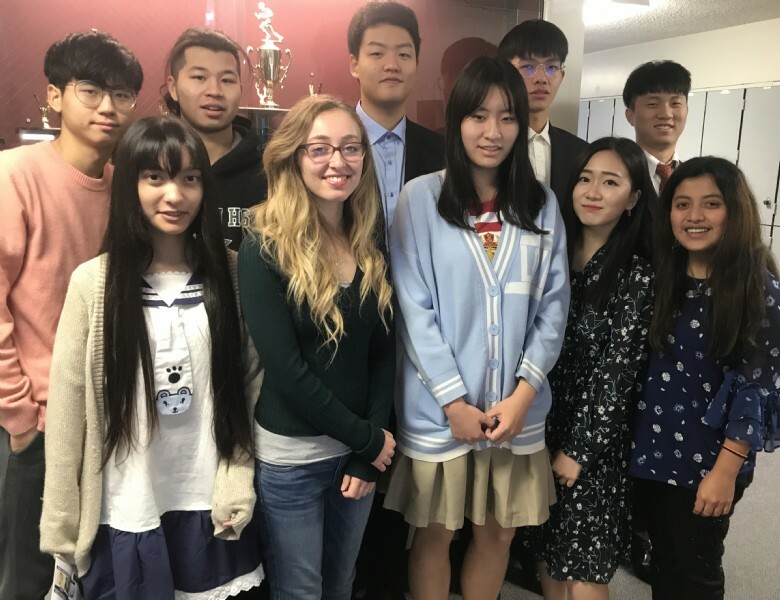 Judson's class of 2019 consists of 13 students from four different countries: USA, Korea, China and Italy. These seniors have been busy taking the SAT, preparing for AP tests and applying to colleges. Already members of the class of 2019 have received acceptances to Arizona State University, Azusa Pacific University, Biola University, Michigan State University, Otis College of Art and Design, Maryland Institute College of Art, Penn State, Pratt Institute, University of California Davis, University of California Irvine, Univeristy of California Riverside, University of Indiana Bloomington and Virgina Tech. Some of their intended majors include computer science, nursing and design. Judson's college prep program continues to expand and thrive. We will be hosting AP testing for Chinese Language, Physics, English Literature, US History, World History and Calculus. All of our high school courses have been A-G approved or are in the approval process. Our students score in the 80th percentile for SAT, well above the state average. In 2018, 89% of Judson students who took AP tests received a score of 4 or 5, while the national average is only 33%. For a full list of college acceptances over the last 5 years of Judson High School, click here: Judson College Acceptances 2014-2019.